With not just a little hesitation I’ve decided to sell my Tomos. I set a limit for myself on how many mopeds I can own and I’m picking up a Peugeot 103. I’ve been itching to mess with a peugeot and I have the opportunity to scoop one up for a good deal. 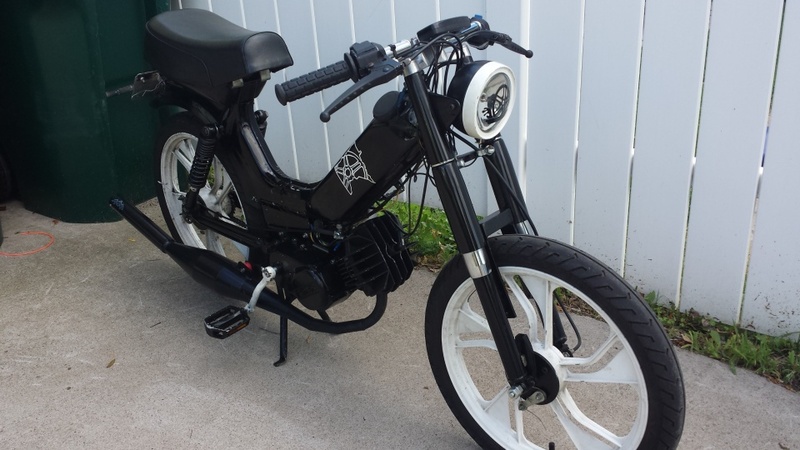 So one of my current mopeds needs to go. Right now I’ve got two Puchs, a Motobecane and a Tomos. I figured I’d part with the Tomos since it’s kind of the odd man out. Trading out the tomos for a peugeot will give me two frenchies and two austrians. 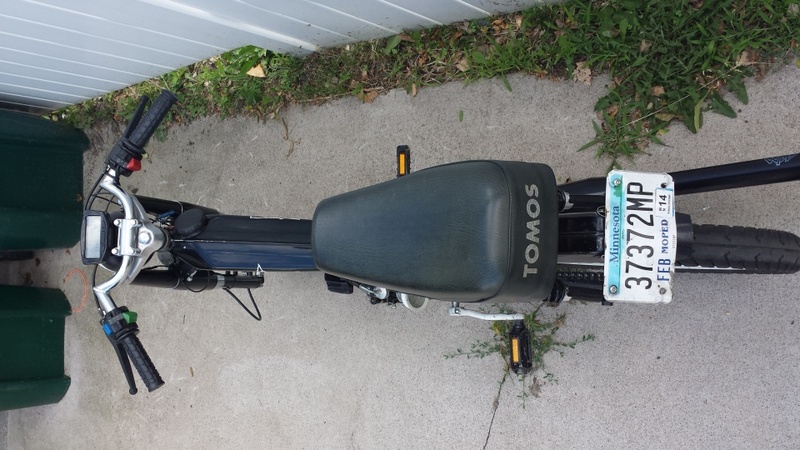 Up for sale is a 1995 Tomos Targa Moped. 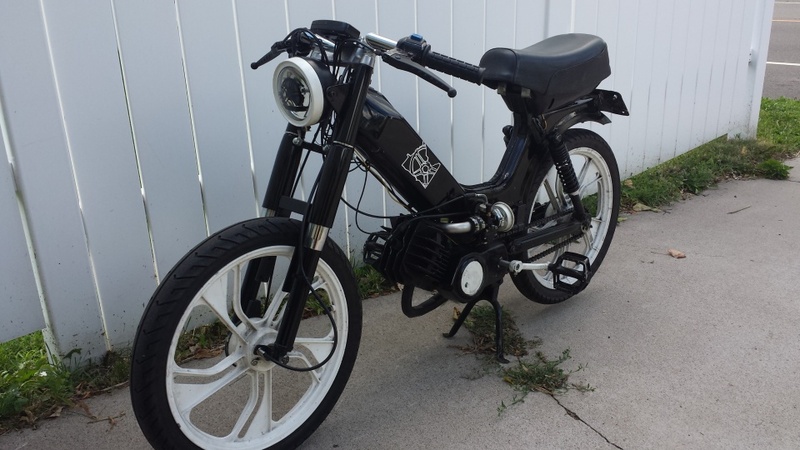 I’m selling this one because I just have too many projects and I want to focus my moped collection on just a few brands (Puchs and Frenchies) so I can reduce the number of spare parts I keep on hand and the Tomos unfortunately is the odd man out. 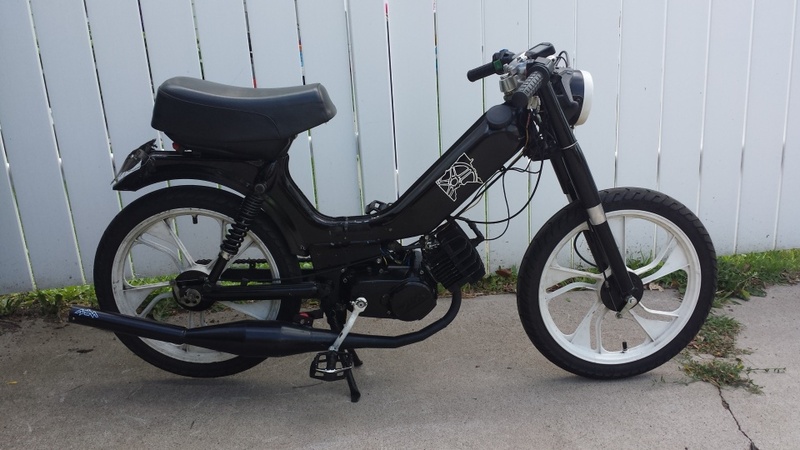 If you’re not familiar with Tomos mopeds they’re the only true two-stroke production moped that’s still made today. Tomos is a Slovenian moped manufacturer that’s been around since the 1950s. 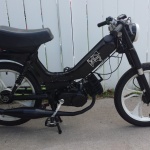 The signature tomos style is a two speed automatic moped. Pedal like normal to ride it like a bicycle, pedals backwards and it’s works just like a kickstart and the engine turns over. -Clean Title (that’s right a moped with a title, it does happen once and awhile it’s registered as a moped so you can park on sidewalks and stuff where permitted. -Lots of minor odds and ends, new headlight, tailight, grips, pedals, etc. In addition to the bike I’ll throw in a grab bag of spare parts if desired. Email me if you have any questions, I’m pretty firm on the price you can looks up some of the parts on treatland.tv to get an idea of what I’ve got into this bike I could easily part it out, but I’d like to get rid of it the easy way:). As far as mileage the original speedometer wasn’t working when I got the bike and basically everything on the bike has been replaced so it’s kind of a moot point.